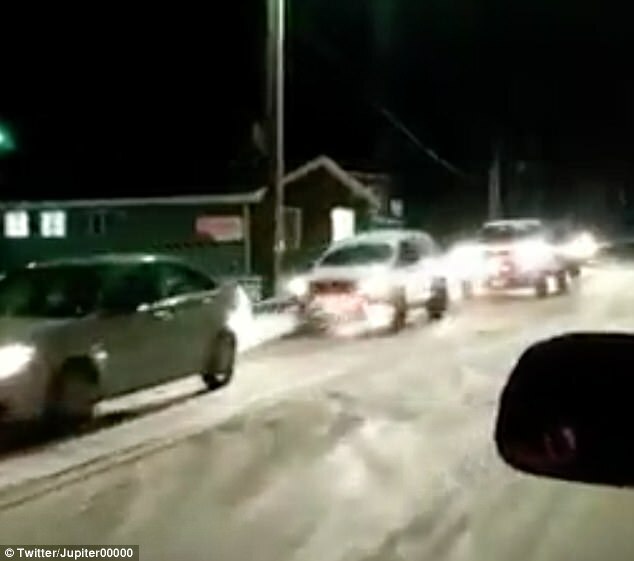 A 7.9 magnitude earthquake struck off Alaska's Kodiak Island early Tuesday, prompting a tsunami warning for a large swath of the state's coast and sending some residents fleeing to higher ground. 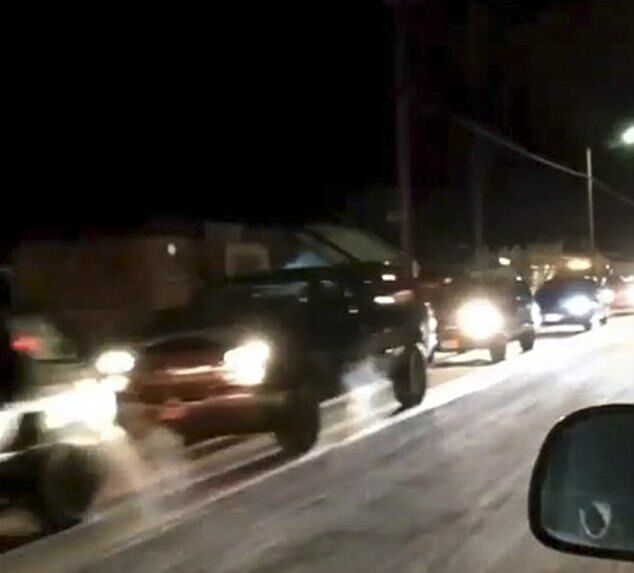 Officials at the National Tsunami Center canceled the warning after a few tense hours after waves failed to show up in coastal Alaska communities. Alaska's Division of Homeland Security and Emergency Management said there have been no reports of damage, so far. 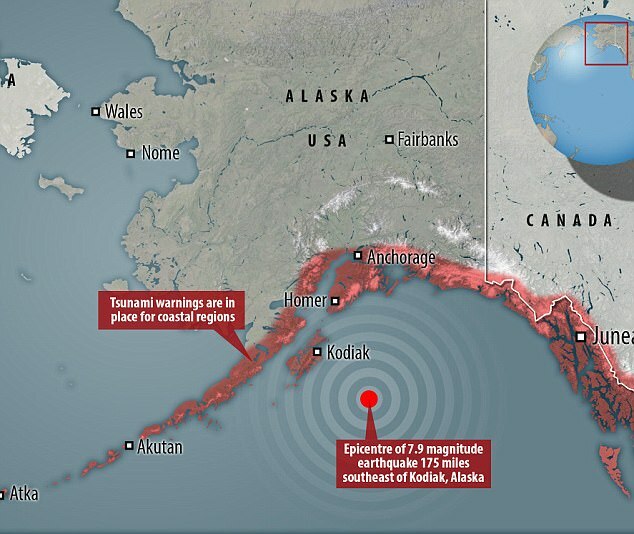 The strong earthquake hit at 12:30am and was recorded about 170 miles southeast of Kodiak Island in the Gulf of Alaska. 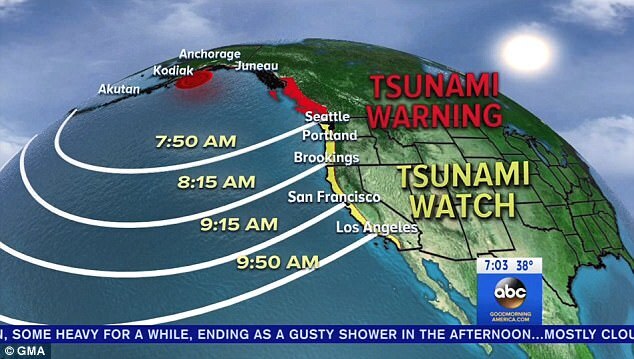 Kodiak Island is located about 200 miles southwest of Anchorage, Alaska's largest city, which was not under a tsunami threat. Initially, the USGS said the earthquake was a magnitude 8.2. 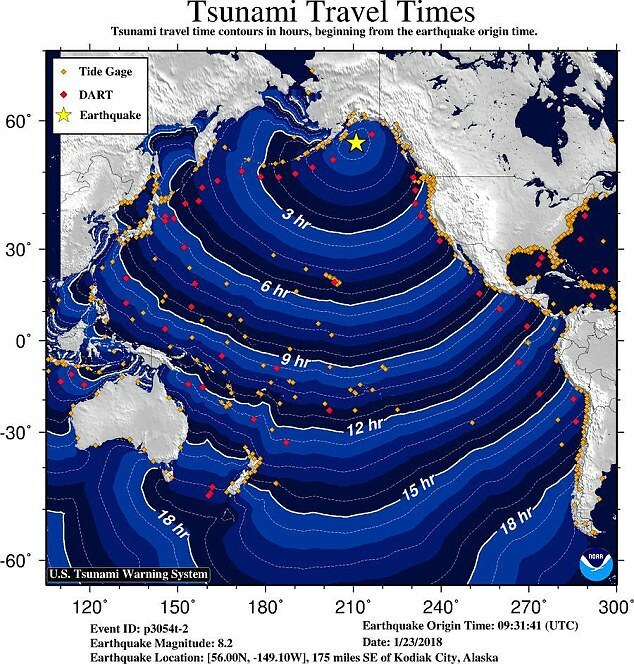 That prompted the tsunami warning for coastal Alaska and Canada's British Columbia, while the remainder of the U.S. West Coast was under a watch. 'I've been Kodiak for 19 years that was the strongest, longest lasting one I've ever felt,' he said by telephone. Alaska Gov. Bill Walker said on his Twitter feed that he has been in contact with local officials and the state's adjutant general, and he urged residents to heed any warnings to move inland or to higher ground. Kerry Seifert, an emergency management specialist in the state emergency operations center, said no reports of damage had been received as the timeline for initial waves reaching some communities passed. 'This is almost too soon to be into it to get that kind of information,' he said. 'I figured I'd probably just better play it safe,' he said.